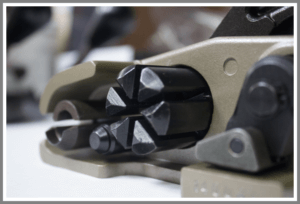 Teknika Strapping Systems strives to provide innovative solutions in the manual strapping tool market. We hold multiple patents in the field that has been lacking new solutions for the last 15+ years. Windlass Return Mechanism (Patent US5975150) allows the operator to quickly load the strap in the tool as the windlass is automatically returned to the optimal strap loading position after each use. This feature greatly improves productivity by decreasing time of the operation cycle. Windlass Return Mechanism is present on MUL-320, MUL-325 and MUL-341. 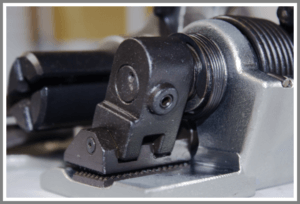 Vertical Gripper Motion (Patent US6047742) significantly reduces wear and tear on gripper feet and grippers (clutch plugs) by providing a buffer between the two parts and not allowing them to come in direct contact with each other. The feature also reduces the amount of force needed to take the tool off the strap under tension and minimizes strap damage during this operation. Vertical Gripper Motion is present on MUL-320, MUL-325, MUL-350, MUL-351, MUL-370, MUL-375 and MUL-395. When Reversible Dies featured on MUL-16 and MUL-20 wear out, only the bottom die needs to be replaced, while the top two dies can be reversed exposing a brand new cutting surface. This allows for doubling the life of dies and only one third of the replacement costs. 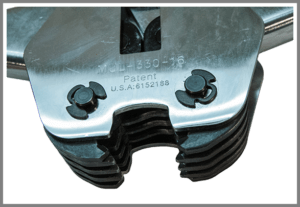 Symmetrical Jaws on MUL-330, MUL-331 and MUL-381 (Patent US6152188) allow the user to operate the sealer on the off-set seal without regard to orientation on the seal. 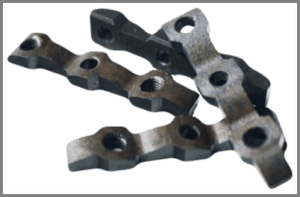 The joint efficiency created by these tools is the highest on the market and is achieved by an innovative jaw design and joint pattern. Other non-symmetrical tools require a proper placement on the seal (long jaw to long part of the seal) to achieve a functional joint and if placed incorrectly, joint efficiency drops up to 80%. Teknika Strapping Systems sealers with Symmetrical Jaws eliminate this problem completely thus reducing the possibility of load failures.